Yaya Touré decided to stay at Manchester City after being assured he is a key figure in the club’s future by the owner, Sheikh Mansour, his agent has said. Touré looked to be on his way out of the Etihad Stadium this summer and Internazionale are keen to sign the midfielder. However his agent, Dimitri Seluk, has said Touré will remain at the club he joined from Barcelona five years ago. 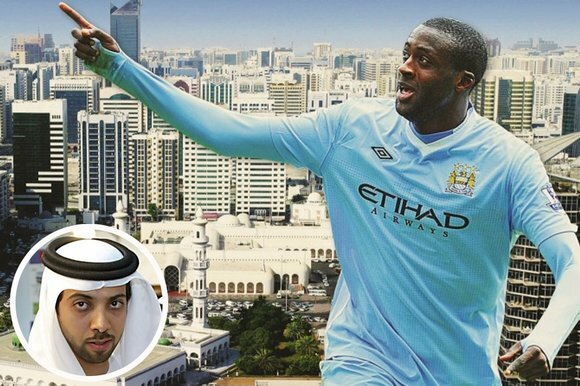 Seluk said in the Sunday Mirror: “Yaya is staying – because Sheikh Mansour told him he must stay. Mansour told Yaya that he is still a very important player and that he was the first big player to join City after the takeover. Seluk had previously claimed Touré was “90% certain” to leave City at the end of the season. He has made a number of erratic claims about Touré during the player’s time at the club. City’s manager, Manuel Pellegrini, repeatedly stated his desire to hang on to the Ivorian, with the 32-year-old having two seasons left on his contract.